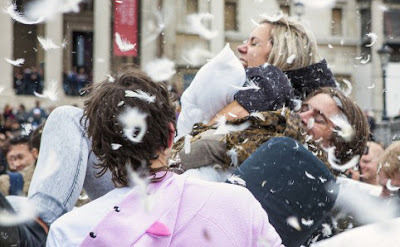 Selvage Blog: International Pillow-Fight Day! Did you know it's International Pillow Fight Day? The "fighters" above are celebrating in Sydney, Australia. From "Guest of a Guest," New York City (above). From Daily Mail in the UK (above). Vancouver, Canada (above), and Paris (below). The pillow-fight dates vary. Check your local listings. 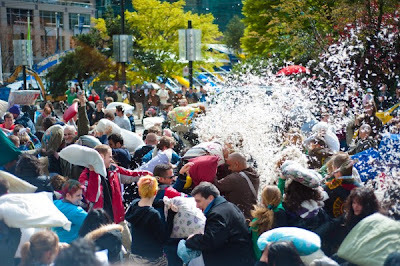 This looks like fun...I think. 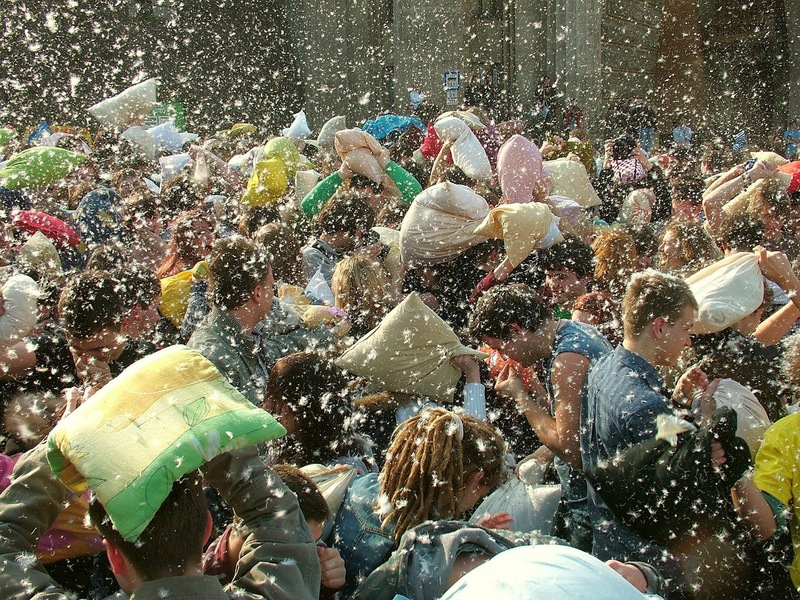 Well, I've cleaned up the messes from pillow fights, but never from PILLOW FIGHTS! Wow! Pillow fights as kids....was the bomb! 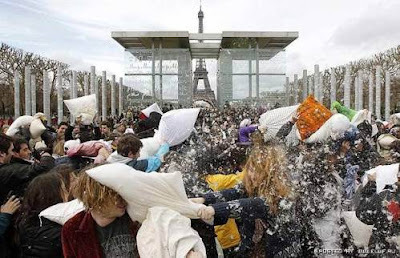 Thanks for the memory! 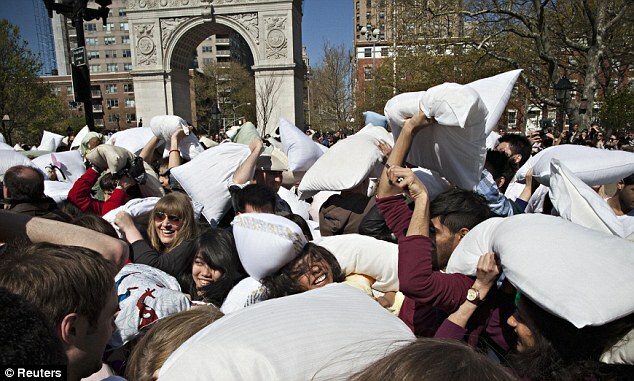 It seems like it would be more fun if you put a tiny slit in your down pillow before the warfare begins.